The development of Nigeria’s vast gas resources has been one of the major policy thrusts of successive governments in Nigeria. It is worthy of note that Nigeria is blessed with resources for growth and global competition in gas. The country ranks 9th in World’s gas proven reserves. The National Gas Master Plan focuses on reducing routine gas flaring, increasing domestic gas supply and utilization, while diversifying Nigeria’s revenue. In Nigeria, Chevron Nigeria Limited (CNL), the operator of the joint venture between the Nigerian National Petroleum Corporation (NNPC) and CNL ranks high among some corporate bodies that play leading role in gas development in the country. In February 2018, at the Nigerian International Petroleum Summit (NIPS) in Abuja, Chevron received an award as the greatest contributor of domestic gas in Nigeria. At the summit, the Minister of State for Petroleum Resources, Dr. Ibe Kachikwu, commended CNL’s efforts in supporting the Federal Government’s gas development objectives. 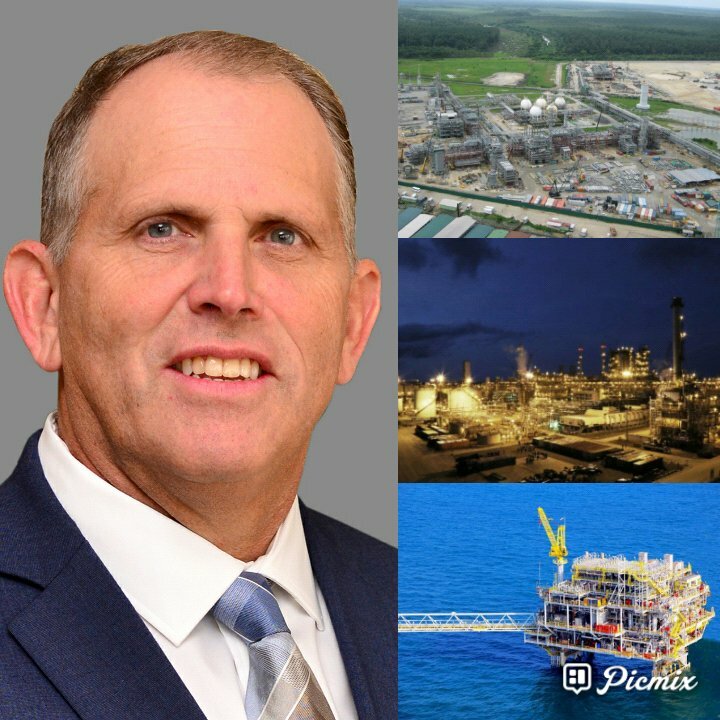 Chairman/Managing Director of CNL, Mr. Jeff Ewing explained that CNL has contributed immensely to the Nigerian government’s gas master plan through the various gas projects it has embarked on and that the company is the highest contributor of high quality gas to the domestic market in Nigeria. Also, according to the Department of Petroleum Resources (DPR), CNL supplies about 40% of Nigeria’s domestic gas consumption and has been the highest supplier of high quality domestic gas in Nigeria since 2015. Jeff noted that through investments in gathering and processing of associated gas, routine flaring has been reduced by over 90% from 2008 to 2017 in CNL’s operations. According to him, “amidst the growing global trend in gas production and utilization, the expectations for the gas sector in Nigeria remain high and provide opportunities for investment in the sector. The opportunities include: (1) transitioning from an oil based economy to a more integrated oil and gas economy and end routine gas flaring, (2) deliberate exploration for non-associated gas to support the Nigeria Gas Master Plan, with a focus on high liquid yield non-associated gas resources to optimize the gas development project economics, and (3) the growth of new industries made possible from the abundant resources and competitively priced gas supply. CNL’s Chairman/Managing Director explained that the company’s gas story began with the implementation of different phases of the Escravos Gas Project (EGP), with four phases of development over the years. He stated that the EGP gas gathering, and processing facilities placed CNL as one of the pioneers in creating a practical and economic solution for gas flaring in the Nigerian oil and gas industry. “The gas gathering, and processing projects involved stripping liquids from rich gas and creating a new revenue stream for the nation from the sale of the liquids”, he stated. The gas gathering and processing facilities strip liquids from rich gas, creating additional revenue stream for the nation from the sale of the liquids. According to him, the gas strategy adopted by CNL will end routine gas flaring and build a profitable gas business through a portfolio of domestic, regional and export supply projects that fulfill the NNPC/CNL Joint Venture’s Domestic Gas Supply Obligation and support the Nigerian Gas Master Plan. The strategy, said the Chairman/Managing Director, includes: ending routine gas flaring; boosting domestic supply diversifying and commercializing gas resources through Gas-Based Industries such as its Escravos Gas-to-Liquid (EGTL) Plant.